Connecter size: Internal Diameter: 5.0mm. External Diameter: 7.4mm. With pin inside. 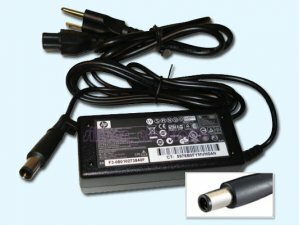 Condition: - Refurbished (Excellent Condition) HP AC adapter Power cord included. Compaq Presario: CQ40, CQ45, CQ50.